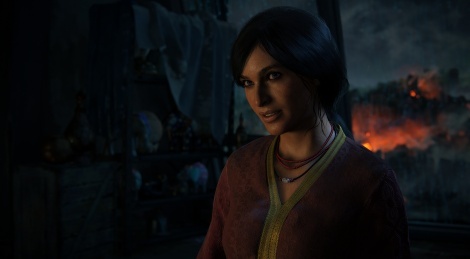 Revealed during Sony's briefing, here is in good quality the story trailer of Uncharted: The Lost Legacy. The standalone title from Naughty Dog is coming on August 22.
this trailer made it seem just as epic as any of the past uncharted titles. if they can get it to the 10 hour mark then despite being a stand alone expansion to U4, it's practically an entirely new game. i'm excited. Playing as Nadine Ross as a main character is an absolute awful decison. Really hope ND can try and recapture the magic that they created with Uncharted 2, 3 and 4 just pale in comparison. Do you not i thought we did, So shes just the sidekick in it from time to time? That aint so bad then. They weren't lying, this looks like a full uncharted game.